As warm as a hug, the Amish Grandmother Rocker welcomes you in for a cozy seat. Arms curve gracefully and the paddle shaped spindles offer support. Legs are turned beautifully. This rocker is handcrafted with 100% solid wood. 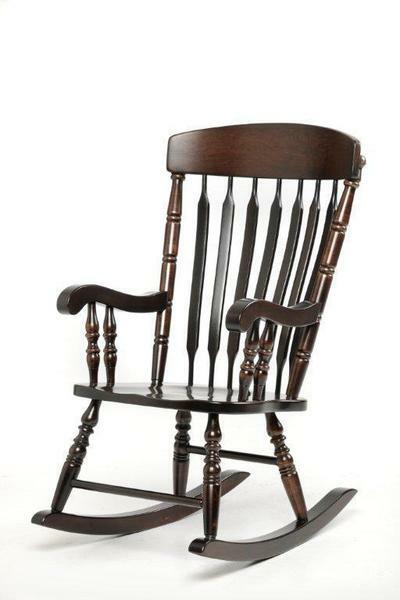 The Amish Grandmother Rocker is shown here in brown maple wood with onyx stain. Choose from five wood types to find your perfect match. Samples are available for you to view at home. Order top quality furniture online with ease, or for more personal service, give one of our Amish Furniture Specialists a call. We thank you for shopping DutchCrafters, home to solid wood Amish made furniture.